There are over 160,000 unintentional injury deaths yearly, and wrongful death lawsuits are brought when someone’s negligence or reckless behavior led to one of these deaths. Many of these incidents – such as auto accidents caused by texting – seem open and shut. Unfortunately, many others seemingly fall into a gray area. It’s worth noting, though, that our world is changing at a dramatic pace. Victims who may have once been overlooked are now being given the attention they deserve. While a wrongful death attorney will know best whether a case exists, it seems we’ve come to a point where every victim matters. If you ask any wrongful death attorney, they’ll tell you one of the most disheartening aspects of these cases is seeing clients who feel like no one else cares. When you’ve lost a loved one and are trying to figure out how to move forward, it can feel like standing on an empty island. Unfortunately, certain victims actually have been ignored over the years. In fact, it’s sometimes so bad that they ask themselves, “What is wrongful death, and is there even a point in trying to get help?” Here are a few examples proving that we’re living in a time when no death is taken lightly. Gabriel Taye was an 8-year-old student attending public school in Ohio before his death in early 2017. The young boy died due to suicide, but after his parents consulted with an attorney, the school released information that showed Gabriel was bullied and knocked unconscious just two days before his death. The family has filed a federal lawsuit, and though the school system tried to have it dismissed, judges decided that it could move forward in September 2018. One look on Facebook shows that people disagree on whether someone else can be held accountable for a suicide, but courts are showing an increased desire to hold bullies and those who allow the behavior accountable for their actions. Mariee Juarez wasn’t even 2 years old when her mother brought her to America seeking asylum. The toddler was kept at a Texas immigration facility while the cogs of the legal system ran their course. When she was released less than three weeks later, she was deathly ill. It was later discovered that, within a week of arriving at the center, Mariee had a 104-degree fever and was experiencing congestion, cough, vomiting and diarrhea. None of the medical staff noted these symptoms and even cleared the toddler for travel. Six weeks after her release, she died. Since that time, a $40 million lawsuit has been filed in relation to her death. Many people don’t realize that undocumented immigrants can bring wrongful death lawsuits. Regardless of immigration stances, courts are no longer overlooking these individuals. Jennifer Strange was a 28-year-old woman who participated in a radio station’s water-drinking contest. She drank two gallons of water in three hours, and she later died from the incident. While some may say this is her fault, the facts show otherwise. Radio staff was warned of dangers by medical professionals. The staff also stated that they knew the dangers but didn’t care. DJs mocked Strange when she complained of pain. DJs did not pass information regarding the danger on to contestants. These cases show that not every wrongful death case is what it appears. In two instances, the victims actively participated in their own deaths. In the other, the victim wasn’t an American citizen. These cases show that commonly-held assumptions are quickly becoming not so common. A wrongful death attorney can help you figure out whether to move forward. No matter how “open and shut” a wrongful death case may seem, there are always nuances that can’t be easily prepared for. The law often seems to evolve as court cases are settled and appealed. If your loved one died and you feel someone else may have contributed to the incident, you may be able to seek compensation. 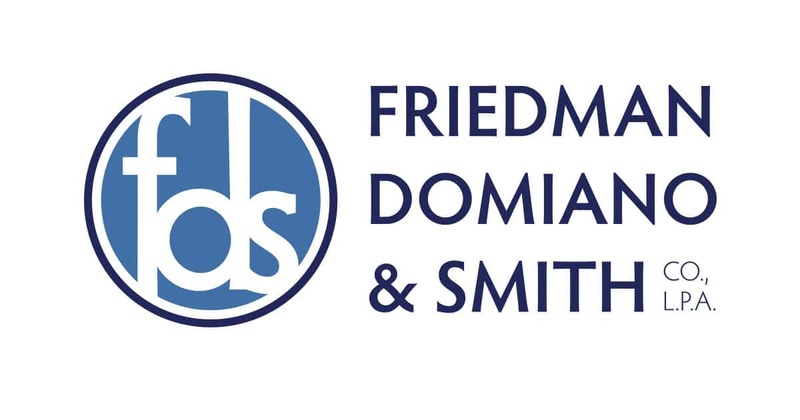 Contact the wrongful death attorneys at Friedman, Domiano & Smith for a free consultation today.